If you're using photoshop cs6 or other versions watch Here how it works for Jpeg File. So here I use Camera Raw filter in photoshop, you can find it on your photoshop cc filter tab. using camera raw filter as lightroom, yes.. lightroom working with meta data and will be better using lightroom. and you can use Raw filter to get same result. 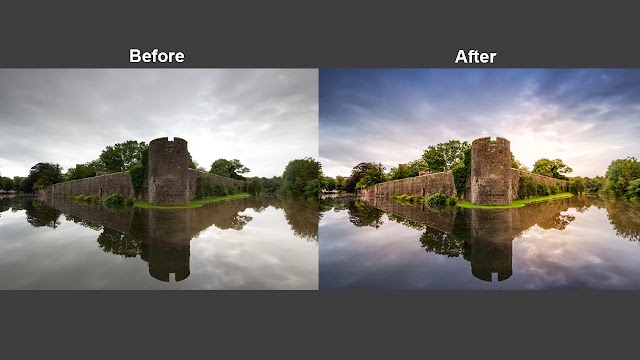 Watch video bellow how to use camera raw filter to get stunning photo.